Known for its imperial palaces and baroque streetscapes, Vienna is every artist’s dream. The museum of this lively city houses imperial art collection and priceless artworks. The winding cobbled lanes, the rambling palaces, cutting-edge architecture and design, Vienna is immersed in rich history. The city holds on to its traditions and is renowned for its rich musical heritage. The Viennese appreciate finer things in life which is evident from the opulent coffee-houses serving spectacular cakes. The imperial grandeur reflects from the palace complexes. The Past is still alive in this city of music and this is the reason why you need to explore this unique, quaint city. Here is a list of 15 best hotels that you will find in Vienna. In a city that is larded with monumental palaces, the Palais Coburg Residenz was built between 1840 and 1845. It has been transformed into an extravagant hotel which offers just 35 suites. All the rooms have been decorated with an impeccable taste. 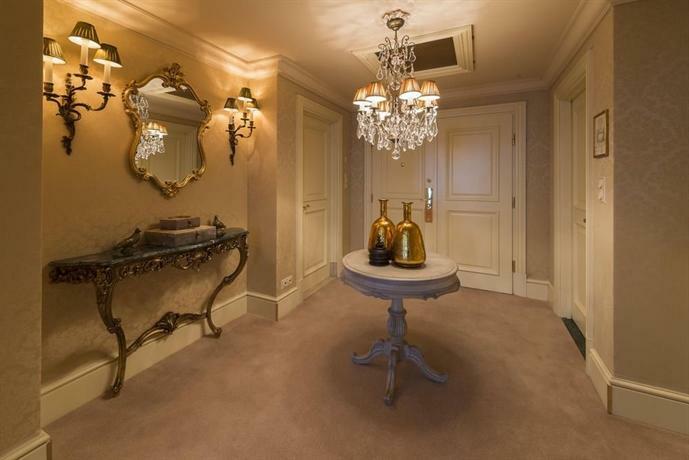 The furnishing varies with the kind of room opted for. The modern rooms feature a contemporary design. This hotel has a sauna, a whirlpool, a pool, a small workout area and a big sun terrace. Le Coburg restaurant serves delectable Austrian soul food which is the talk of the town. 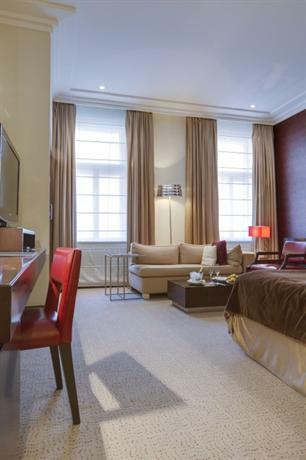 This 5-star luxury hotel housed in a historic building is located in the heart of the city. It offers free Wi-Fi to its guests. Silvio Nickol Gourmet restaurant serves international and Austrian gourmet cuisine. The hotel is a short walk away from several underground stations and from St. Stephen’s Cathedral. The Sacher is known for its resplendent elegance and is positioned in the heart of the city right next to the Albertina Museum and behind the Vienna State Opera House. 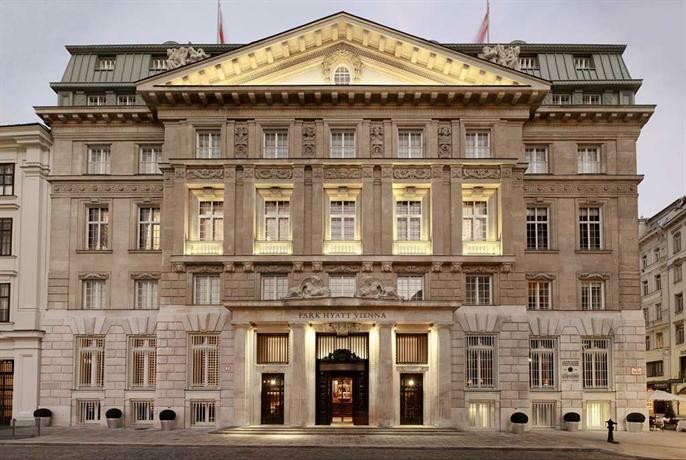 Staying at Hotel Sacher Wien is equivalent to staying at a royal residence. It is one of the most appealing places in the town exuding a luxurious old-world charm. It is located close to Ringstrasse tram lines which are ideal for getting around the city. The hotel complex is full of period antiques, superb original artworks, and memorabilia. The lavishly furnished building houses nothing but the best. All the 150 rooms and suites are equipped with modern amenities. Some of the rooms offer superb views from their lovely terraces. All rooms are sparkling, spacious and light. Marble bathrooms are equipped with mirror TVs and luxury toiletries. The Rote Bar is a favorite amongst the locals which is a top-notch restaurant serving some of the best dishes of the town. The Blaue Bar is a romantic and intimate sport. The Anna Sacher main restaurant serves lavish breakfast. Do not forget to try Sacher Torte which is the most popular cakes in the world. The grand white illuminated façade makes a bold first impression on the onlookers. This hotel reminds one of a palace. This is because it was built in 1863 as a royal residence before being transitioned into a luxury property. The rooms of this luxury collection hotel feature elegant décor that includes crystal chandeliers, silk wall coverings, and marble bathrooms. The onsite facilities are limited to a few eateries, a business center, and a fitness studio. 1873 HalleNsalon is an ideal option for drinks, breakfast, and snacks. For casual meals and coffee, you can visit Café Imperial. OPUS is a Michel-starred restaurant on the property that offers gourmet dinners. The hotel's prime location ensures that you can explore numerous eateries that serve authentic traditional food. The high-quality service offered is quite impressive. Located on Am Hof Square within the former headquarters of Bank Austria, the Park Hyatt Vienna exudes a historic charm with its marble floors and sumptuous rooms. The hotel is located just steps away from the Golden Quartier which is a luxury shopping district housing flagship stores and big brands. The hotel is located a short walk away from the Herrengasse underground station and from St. Stephen’s Cathedral. The service offered is polished. This lavish hotel offers access to a bar, a fitness center, a laundry, a pool, a spa, a sauna and a hammam. 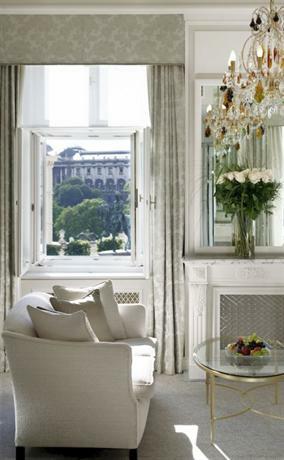 The 143 suites and rooms are one of the most spacious in Vienna and consist of large windows and high ceilings. The rooms overlook the decorated facades of main Am Hof Square. All rooms feature a heavenly bed, a well-stocked bar and also offer coffee and tea making facilities. The lavish bathrooms boast of showers and big tubs. The Bank restaurant serves enticing dishes from an open kitchen. Selection of local wines is served at this restaurant. The Pearl bar is much more sophisticated and serves cocktails as well as coffee. This luxurious 202-room hotel houses an elegant spa and is located close to the city sights. The hotel is made of four opulent, 19th-century houses and includes ornate fireplaces, walnut wall paneling, parquet flooring and grand staircases. This luxe paradise is short tram ride away from the top galleries and museums of the city. It offers public areas with comfortable chairs for relaxing. The Guerlain spa in the basement comprises of steam baths, sauna, a gym and pool with underwater music and lighting. One can find Nespresso coffee machines, king-size feather beds, iPod docking machines and large marble bathrooms in all rooms. Premium rooms differ in size. The expensive suites have lavish sitting areas and feature a balcony or a terrace. The main restaurant DSTRIKT is overlooked by Austrian chef Wini Brugger. He is renowned for crafting excellent Austrian delicacies including Carinthian cream cheese dumplings. The D-bar serves excellent wine list from the greatest wineries in the city. 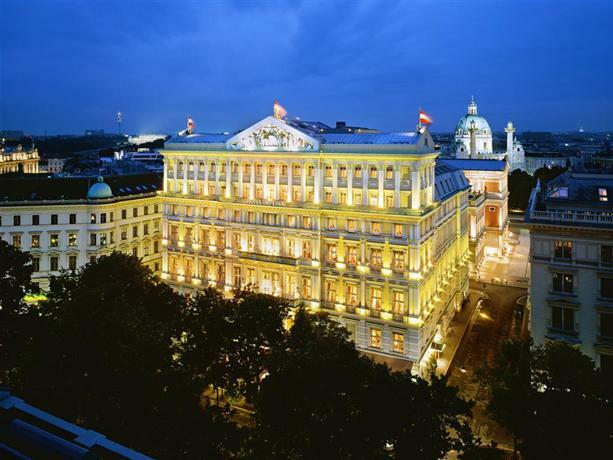 This is a dashing Vienna hotel that offers mesmerizing views of St Stephan’s Cathedral, great shopping options dripping in pure luxury. This hotel was designed by Hans Hollein, Pritzker-prize winning architect during the 1980s. Public transportation options are located next door. An outside elevator links the building with a tube station. Many of prime attractions of the city such as the Opera House and the Mozart’s house are located in the vicinity. 43 rooms over four floors overlook the rear courtyard, Graben Street, and Stephansplatz. All the rooms have been sized generously. The largest suite is equipped with a private whirlpool bath. The 24-hour room service offers hot freshly cooked dishes with huge buffet breakfast. The main restaurant offers a wide variety of dishes which includes Viennese classics on the seventh floor. The Onyx Bar is located on the 6th floor and is immensely popular amongst the locals. Located next to the opera, where the museum quarter meets the Vienna’s haute shopping district, Hotel Bristol is famous for its discreet luxury and art deco styling. 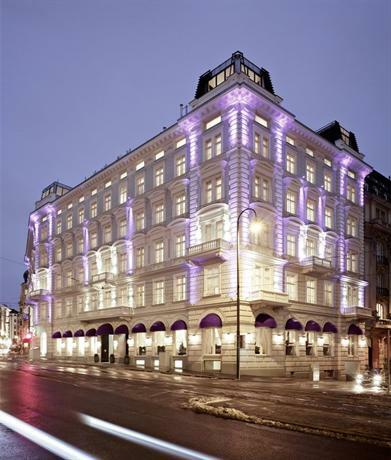 The Bristol Hotel is located on the top of Karlsplatz tram which overlooks the opera house. The Schönbrunn palace is located just six stops away from this lavish hotel. The Albertina Museum can be reached in 5 minutes by walk. The facilities offered include a fitness center and in-house restaurants. Pets are pampered with beds, toys, special menu, and blankets. The rooms are larger than the Paris and London hotels. The rooms are equipped with a minibar, Wi-Fi, and a television. The Prince of Wales Suites occupies most of the floor and has been named after Edward VIII who stayed in this hotel in 1936 during a state visit. Breakfast served is a buffet of cereals, jams, cheeses and cold cuts. Afternoon tea is the key highlight of the restaurant. Vegan options are available as the restaurant manager is one. Asian and French alternatives are offered to the guests. The Bristol Bar is a classy place for anyone looking for indulging in a post-opera cocktail. 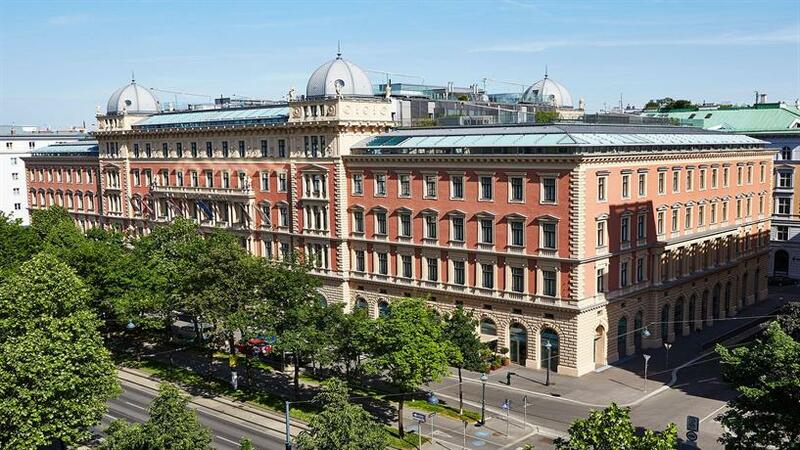 Situated right opposite to the Museum Quarter, the Hotel Sans Souci is located in the center of Vienna. The hotel includes a free Wi-Fi, an indoor pool, and a lavish spa. The guests can relax in a steam bath or in a sauna. There is a modern fitness center in the hotel with the option of supervision by a personal trainer. The Sans Souci Hotel features a Veranda Restaurant and a bar where the guests can indulge in international and Austrian cuisine. The spacious rooms feature elegant works from renowned artists and interior design. The spacious rooms come with a flat-screen satellite TV, parquet floors, an iPod docking stations and a minibar. La Veranda offers simple dishes such as stuffed peppers and steak. Organic ingredients are sourced for crafting the dishes. The two hotel bars are known for Viennese traditionalism. Both cozy spots offer 60 varieties of champagne. Designed by Theophil Hansen, a prolific architect, the Palais Hansen Kempinski Vienna until the 1990s used to be a police station. 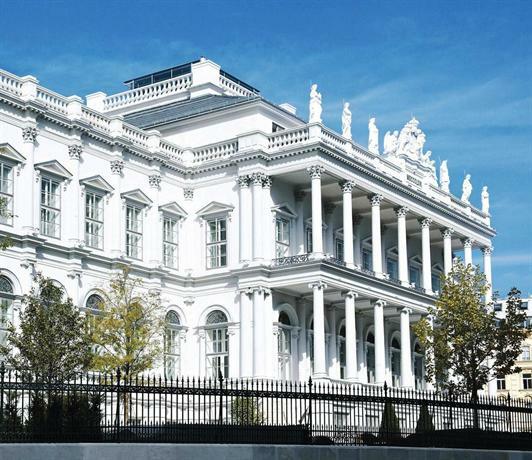 This massive neo-classical landmark is one of the most luxurious accommodations in the city. The strategic location of this luxe hotel ensures that Stephansplatz can be reached in 10-minutes by walk. The Danube Canal and the public transportation system can be accessed just outside the hotel. The hotel staff is knowledgeable and dynamic. The in-house spa comprises of a small pool, three saunas, and a fully equipped gym. 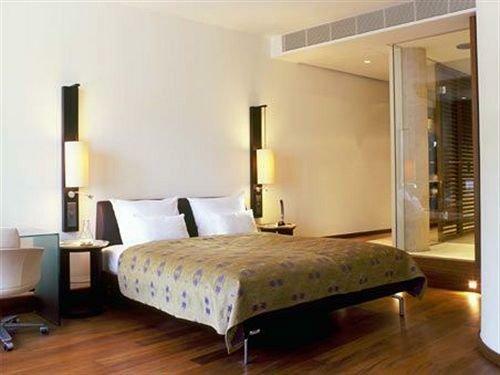 The 150 sized rooms feature high ceilings, marble bathrooms, and state-of-the-art technology. They also have Nespresso machines and iPads. Die Küche, the main restaurant serves breakfast, lunch, and dinner. The menu features traditional classics from Austrian cuisine. Unusual dishes are crafted by Chef Anton Pozeg at the Michelin-starred restaurant Eduard. Drinks can be ordered from the stately cigar lounge, the main bar or in the lobby lounge. 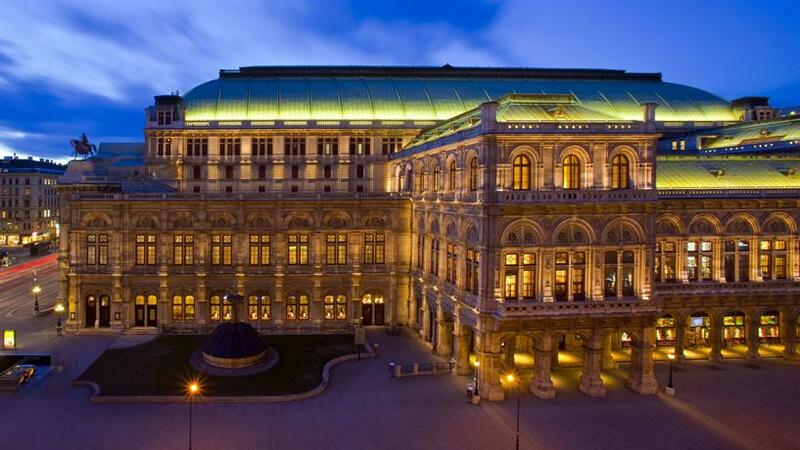 Located in the vicinity of the Vienna State Opera, the Grand Hotel Wien offers panoramic views of the city in addition to a rooftop terrace, a spa area, 2 bars and 5 restaurants. Free Wi-Fi and valet parking are offered to the guests. The rooms are furnished luxuriously in the impressive historic building with large modern flat-screen TVs, elegant furniture, coffee making facilities and a lot more. Marble bathrooms feature 2 washbasins and are equipped with toiletries. The large Grand Spa offers extended wellness facilities which include a steam bath, free sauna, a cardio area and a relaxation zone. Comprehensive massage and beauty treatments can be availed at additional cost. Unkai, the Japanese restaurant serves haute cuisine to its guests. 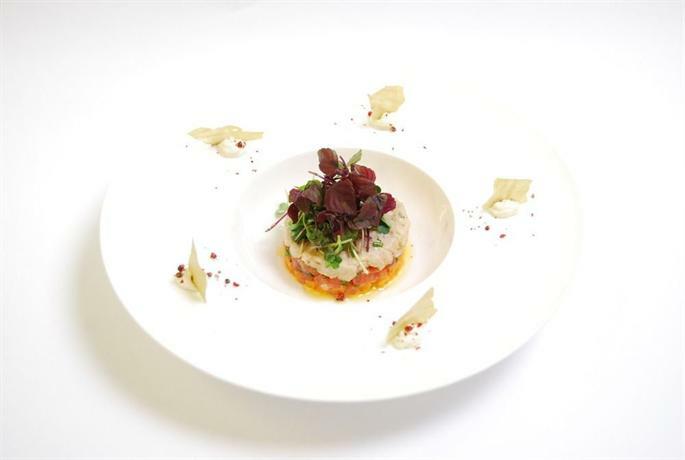 The Michelin-starred restaurant Le Ciel serves traditional delicacies. Fruity cocktails are served at the Kavalier Bar. Grand Brasserie serves typical Viennese specialties. Arabic cuisine is served at the Yalla Fresh & Spicy Restaurant. Located in the heart of Vienna, the Le Meridien Vienna is a lavish accommodation in the vicinity of Kärntner Strasse and the famous State Opera House. All the rooms are spacious and feature a flat-screen TV with multimedia systems. Free soft drinks are offered in the minibar. The large bathrooms feature a separate massage shower and free-standing Victorian-style bath. Spa facilities include a hot tub, a swimming pool, a fitness center, a sauna and a steam bath. The Schiller Park serves cocktails, juices, barbecue and snacks. If you are looking for fun and relaxed enjoyment, you can explore the YOU restaurant and bar. Guests can indulge in wide range of cocktails, truffles, delicate finger food and seasonal éclairs at the Le Moet Champagne Bar. The Karlsplatz Underground Station is located 2-minute walk away from the hotel. Free admission is offered to selected cultural attractions to the guests. This luxe hotel is located in the city center on the Kärntner Straße shopping street. The Karlsplatz Underground Stations and Stephansplatz are located just 200 meters away from the hotel. The Ambassador hotel has houses eminent personalities including Mark Twain and Marlene Dietrich. Located within short distance from prominent tourist attractions such as the State Opera and St. Stephen’s Cathedral, the Hotel Ambassador features elegant and spacious rooms that are decorated with select antiquities. Seasonal dishes and Austrian cuisine are served by the in-house restaurant. Snacks, coffee, and cocktails are served at the Atrium Bar. 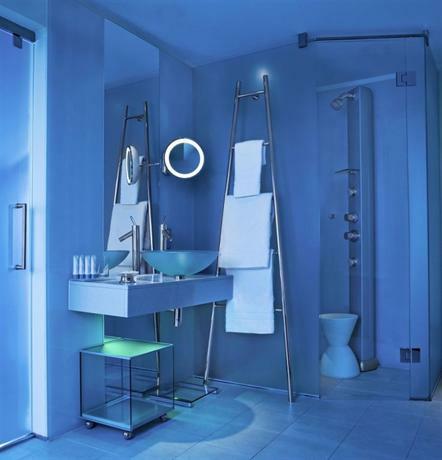 This contemporary boutique hotel is set in the heart of Vienna. 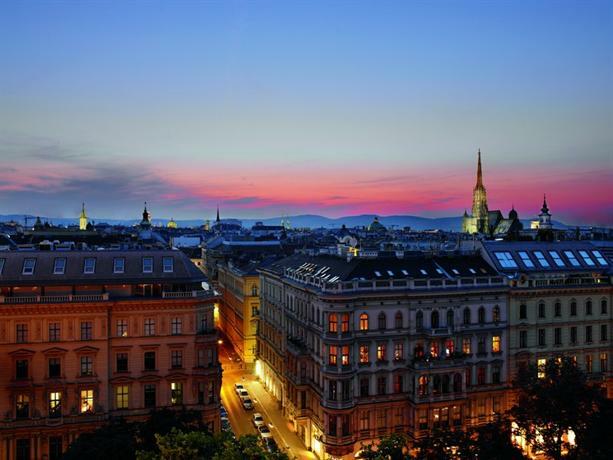 The Radisson Blu Style Hotel Vienna is situated in the midst of prominent attractions of the city. All rooms of this hotel are spacious and feature a Nespresso machine, a flat-screen cable TV, a trouser press and a desk. Shoe-polishing and laundry services are offered upon request. The sauna area promises relaxation after a busy sightseeing or business meeting. Authentic Austrian cuisine is served at the in-house restaurant. A fine selection of wines is offered by regional partners. The H12 bar is an inviting place where you can listen to some soothing music by the end of the day. 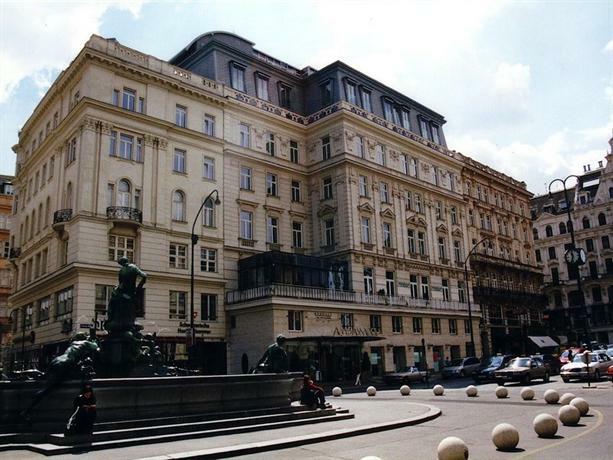 Located right opposite to the Stock Exchange, the Hilton Vienna Plaza is located 10-minute walk away from the Graben shopping street set in the heart of this beautiful city. Free Wi-Fi access is offered to the guests in public areas. Renovated entirely during 2014, this lavish hotel combines Art Deco and modern design elements. The guests can enjoy afternoons in the airy lobby. The fitness center and sauna can be used all round the clock. The suites and rooms come with marble bathrooms and elegant furniture. All rooms feature large windows. French and Austrian delicacies crafted with fresh seasonal ingredients are served at Emile. Guests can opt for non-alcoholic and alcoholic drinks at the bar. International papers and free breakfast are offered to the guests in the morning at the Vienna Plaza’s Executive Lounge. This modern 4-star hotel overlooks the Ringstraße boulevard right in the city center. The rooms have been equipped with modern amenities in order to ensure that the guests experience maximum comfort. 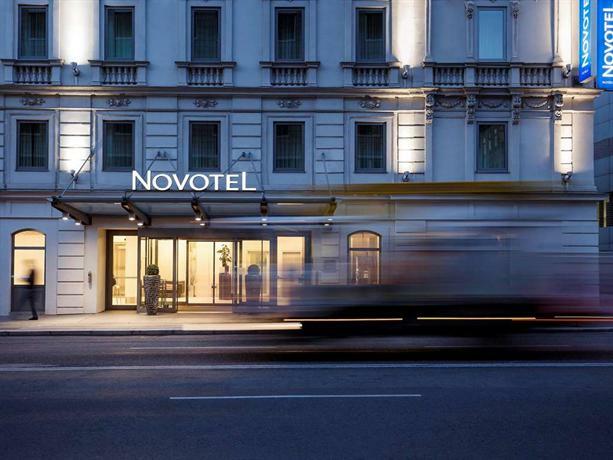 Novotel Wien City offers a sauna, a fitness center and free Wi-Fi. St. Stephen’s Cathedral is located just 500 meters away. The air-conditioned rooms, a minibar, coffee and tea-making facilities are offered in all rooms. International and Austrian dishes are served at the 5 Senses Restaurant. Scrumptious breakfast is served until 11:30 during public holidays and weekends. The guests benefit from the facilities offered by the hotel.